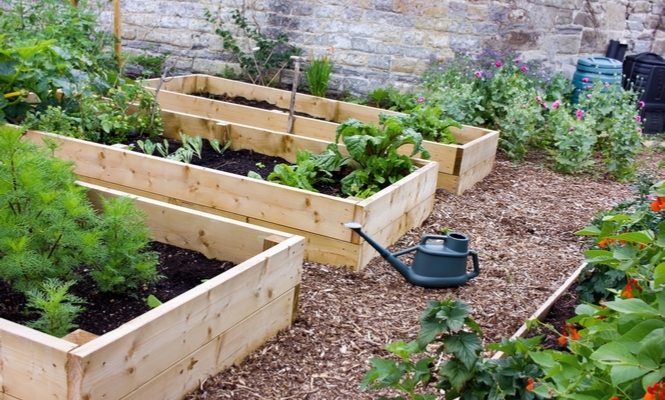 Raised beds are one option that could make a huge difference to your garden, adding storage spaces underneath your plant beds whilst your flowers soak up the sun above. This makes raised flower beds a great way to create an efficient garden space. Another piece of advice is to hang plants on nearby walls is an excellent way to maximise the ground space of your garden. One thing which we highly recommend is growing your own fruit and veg this summer. Fresh mint, basil, dill and chives are great additions to a family meal. They will taste all the better knowing you have grown them yourself. “Food gardening continues to be incredibly popular with gardeners of all ages, and for me, a big part of the fun in food gardening is trying new edibles; from quirky cucamelons and burr gherkins to super-sweet ground cherries. From chickpeas and edamame to heat-tolerant, exotic greens like magenta spreen, sweet potato leaves, and amaranth,” says author Niki Jabbour.